No reassurance shield as 20 joins 113. 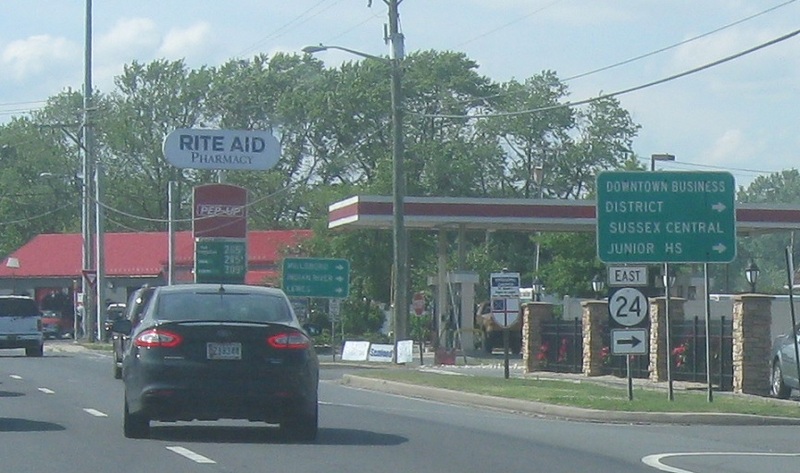 As we enter Millsboro, we’ll approach DE 24 and DE 30. 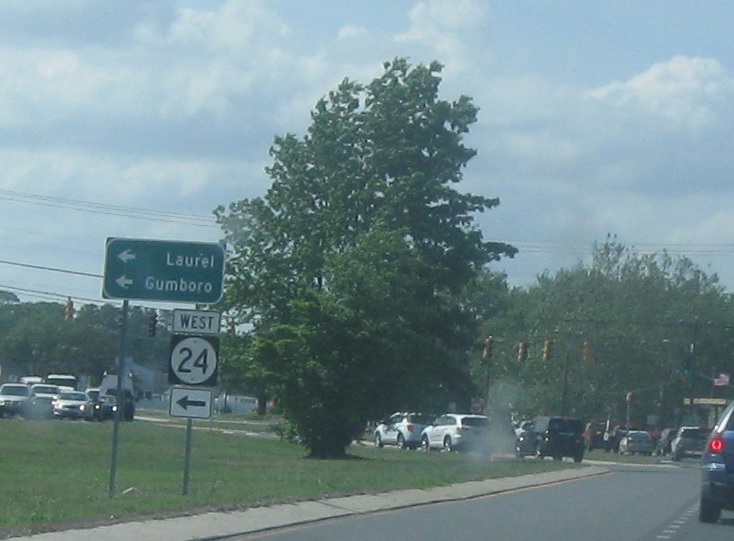 Turn left for 24 west/30 south toward Laurel and Gumboro. 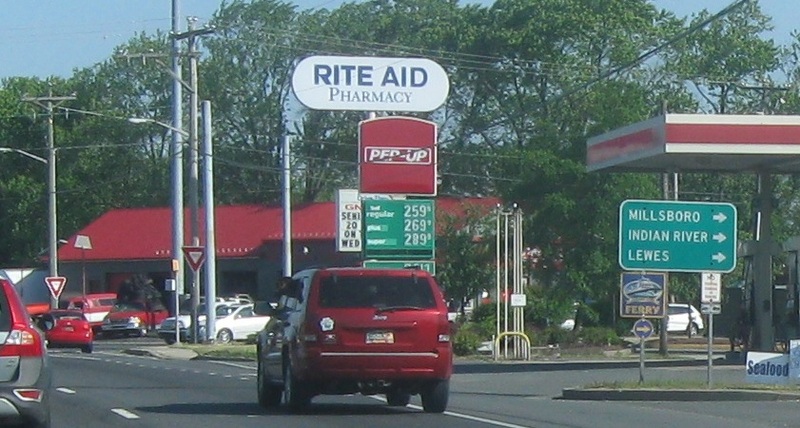 Turn right for DE 24 east/DE 30 north. 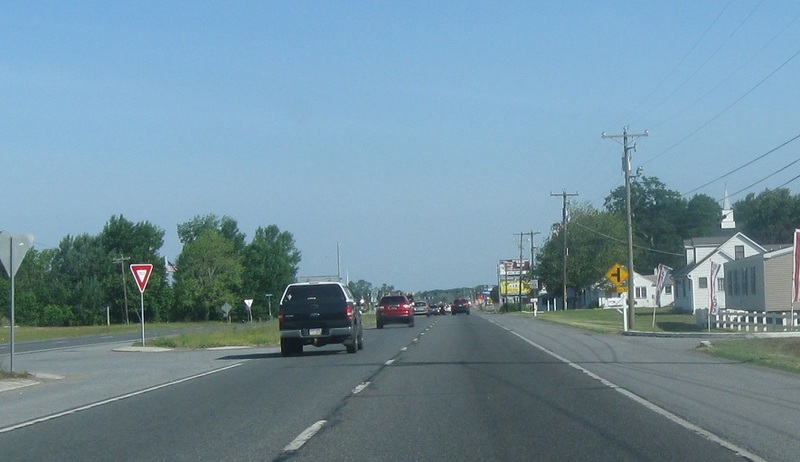 Follow 24/30 into Millsboro, toward Indian River, Lewes, and the Cape May Ferry.